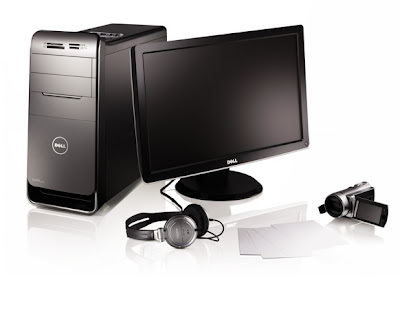 Dell unveiled new PCs designed for busy multi-taskers who demand their technology keeps pace with their up- tempo lives. Featuring AMD’s VISION Technology, these PCs deliver a seamless intersection of social networking, entertainment and multimedia creation. Oversized 460-watt power supply to support future expansion and hardware upgrades including AMD 125W class CPUs and 225W class graphics. Integrated 19-in-one media card reader and SATA 6GB for higher speed disk transfer of HD media. Dell also announced region-specific systems with VISION Technology from AMD. The Dell Inspiron M301z, a stylish, lightweight (less than 4 pounds*/1.8 Kg) and thin (less than 1-inch) laptop with dazzling 13.3-inch widescreen display. For outstanding performance, the Inspiron M301z is available with up to an AMD Turion™ II Neo K625 II low-voltage processor that offers great battery life for on-the-go entertainment. The Inspiron M301z sports a sleek, svelte, curvy design that makes it easy to bring entertainment and other projects on the go. Gorgeous and nimble doesn’t mean it compromises performance though, with powerful integrated ATi Mobility Radeon HD 4200 graphics, roomy hard drives up to 640GB*, a maximum 8GB of memory* and a great software package. With a built-in HDMI port carrying both high-definition video and audio in a single cable, the M301z can be easily connected to a large screen TV or computer monitor for an even better media playback experience. The new Dell Inspiron M501R, at Dell retail partners, brings quad-core performance to the popular Inspiron lineup. It features an available AMD Phenom™ II Quad-Core processor with integrated ATi Mobility Radeon graphics or optional ATi Mobility Radeon discrete graphics for an even better visual experience. In addition to these powerful CPU and graphics options, the M501R has a 15.6-inch high-definition widescreen display and is available with up to 8GB memory* and 640GB hard drive storage. Dell designed the mid-size Inspiron M501R to be stylish wherever it goes with sleek new contours, curved edges, chrome accents and brushed metal-like finishes on LCD backs. It’s easy to use, too, with great software, smudge-resistant palmrest, a full-size keyboard with adjacent 10-key numeric keypad and stiff chassis for exceptional reliability and durability. Dell (NASDAQ: DELL) listens to its customers and uses that insight to make technology simpler and create innovative solutions that simplify daily activities and help people stay, entertained, connected and in touch. Learn more at www.dell.com. 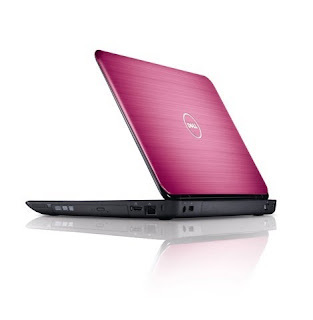 Dell, Dell Studio XPS and Inspiron are registered trademarks of Dell, Inc.